Capture the viewers attention within the first 5 seconds. Lengthy beginnings that don’t grab attention will lose viewers and they will click off. Keep them short and to the point. The shorter the better! 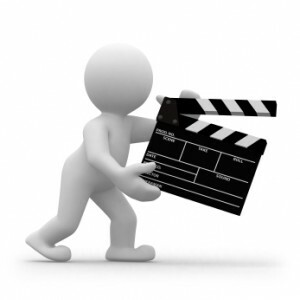 For an ‘autoplay’ video on a homepage, 60-90 seconds is the MAX your intro video should be. Keep it steady. Make sure the person behind the camera knows what they are doing. A unstable hand will make your video look like it’s in the middle of an earthquake. Get a tripod if you had a big cup of coffee to start the day. Volume is key. Use good microphones, speak up if outside, and make sure you have a foam or ‘dead cat’ cover over your microphone to prevent harsh ‘sh’ sounds and wind noise. Lighting is critical. Pick the right time of day to film if outside (early morning or dusk is ideal) and if indoors, invest in a lighting system. Pick the right music. The sound will set the mood for whatever is happening on the screen. Trying to highlight a sad moment or happy moment? Make sure your music fits! Learn how to edit. Trying to script the perfect message via camera on re-take after re-take is difficult to do. Film your 3 best attempts and then use an editing software to cut, trim, and make a compelling piece. Follow these tips and you will be on your way to capturing those visitors to your homepage!